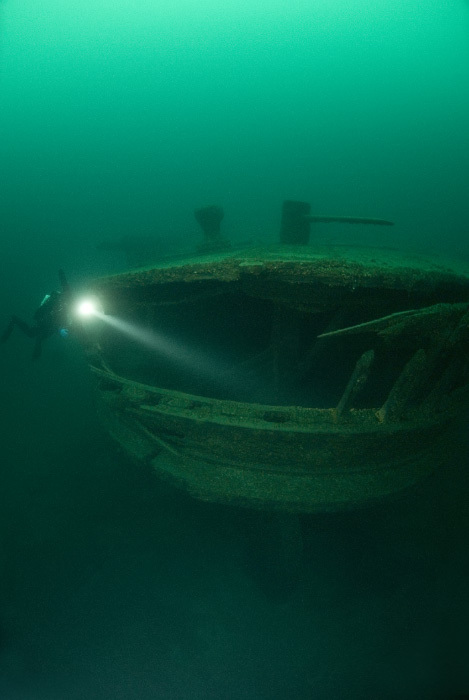 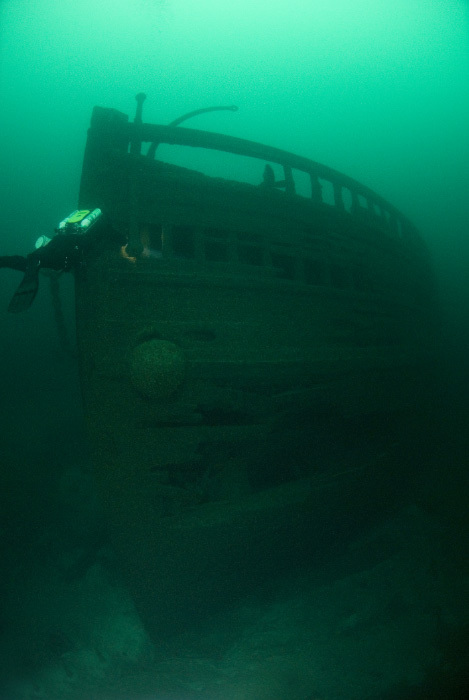 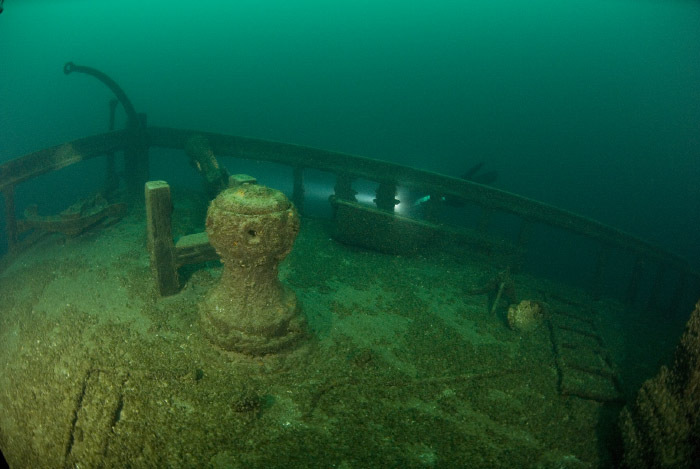 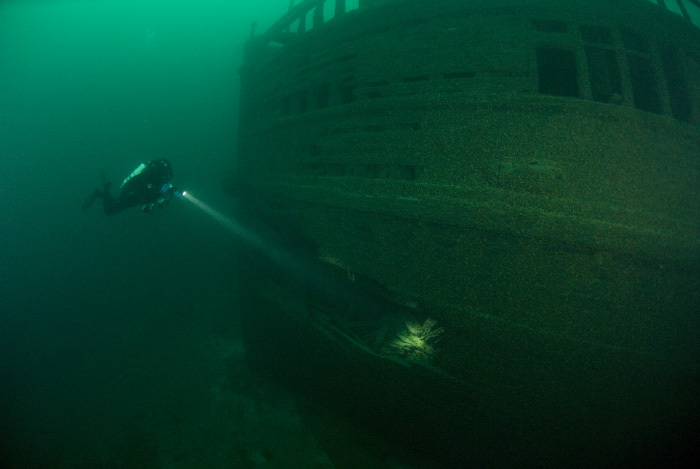 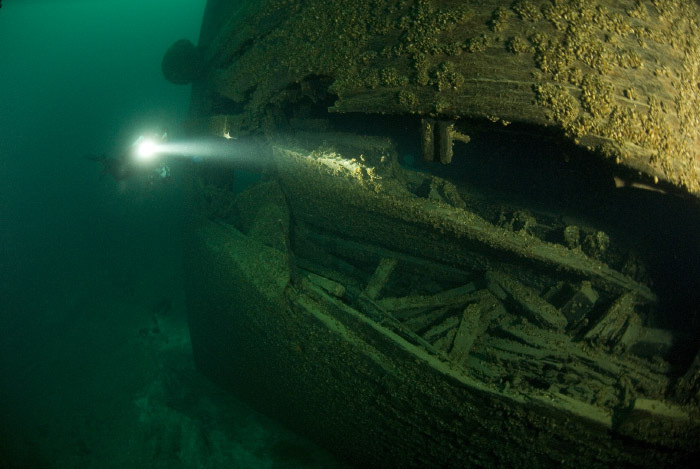 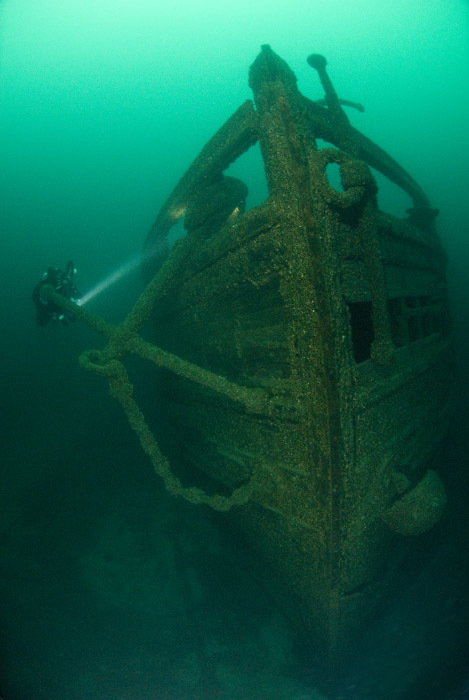 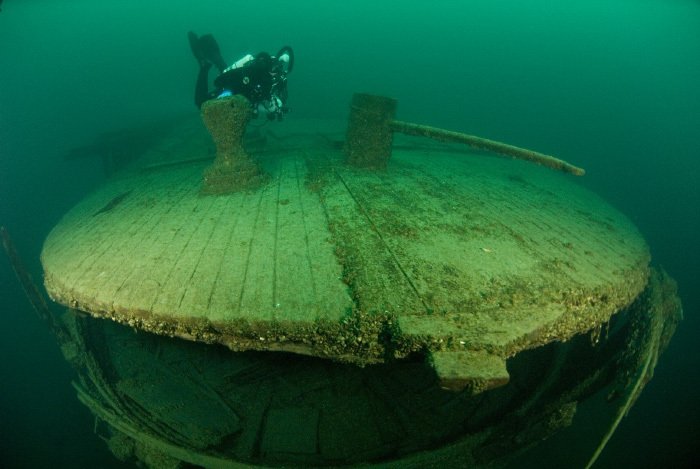 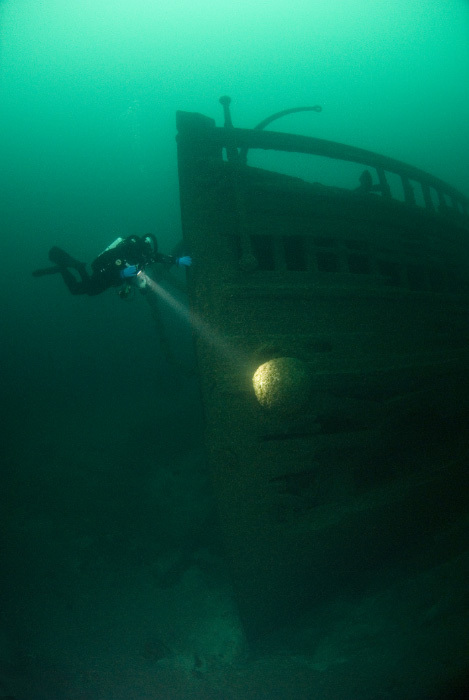 Depth 112-140 ft/ length 213 ft/ launched 1888/ sunk on April 9, 1909 struck by ice. 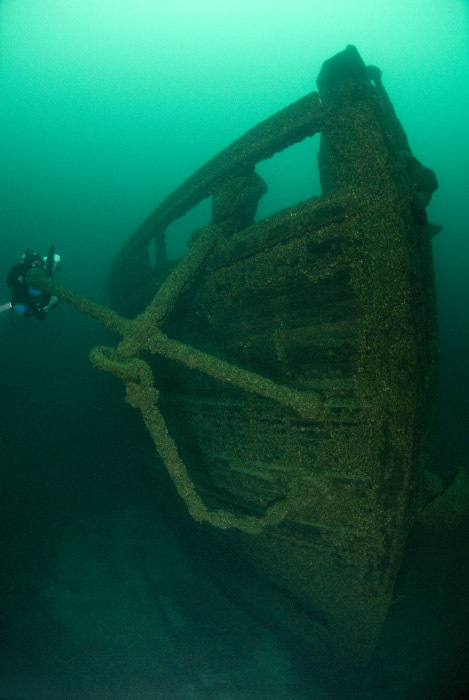 This is one of my favorite wrecks of all times. 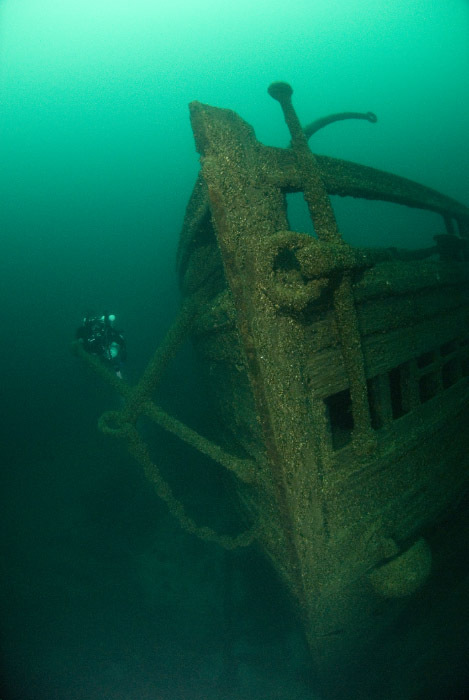 Definitely on the top 10, if not 5. 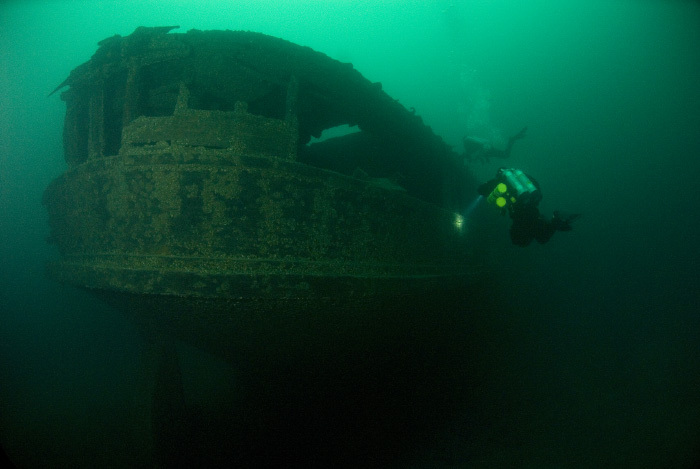 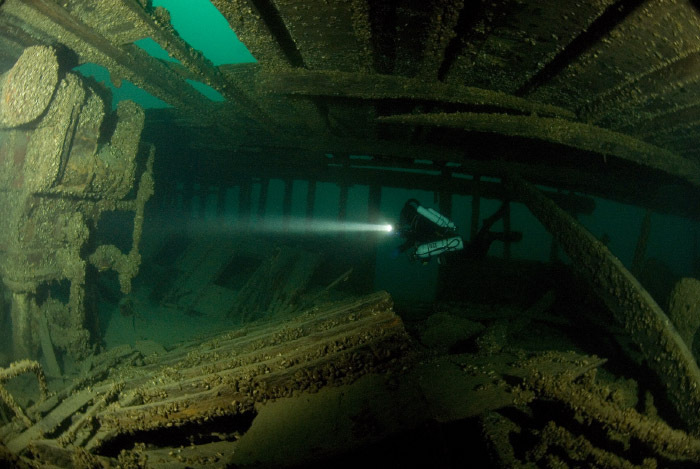 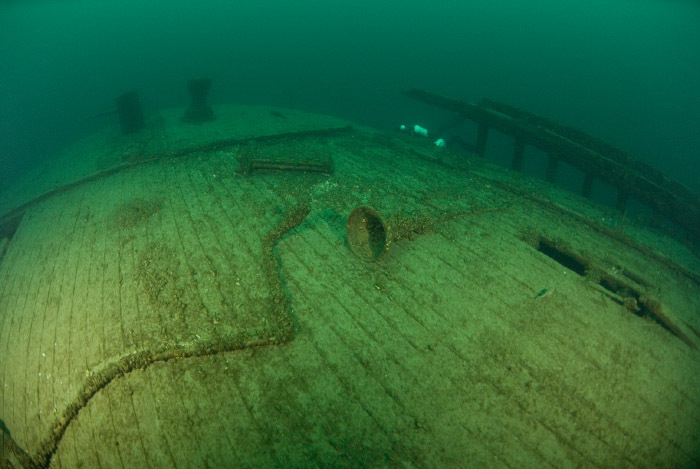 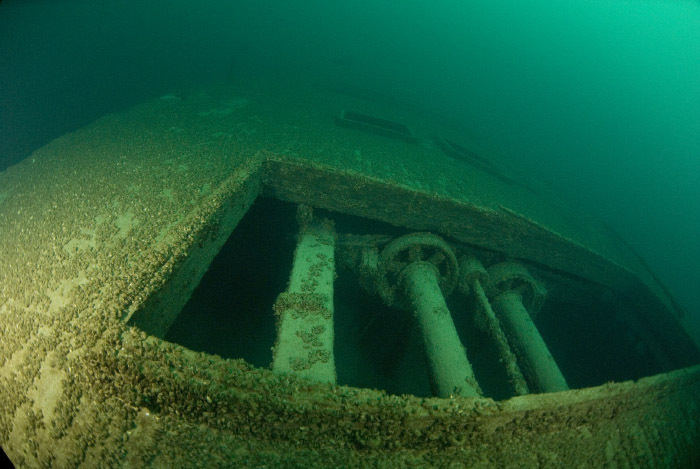 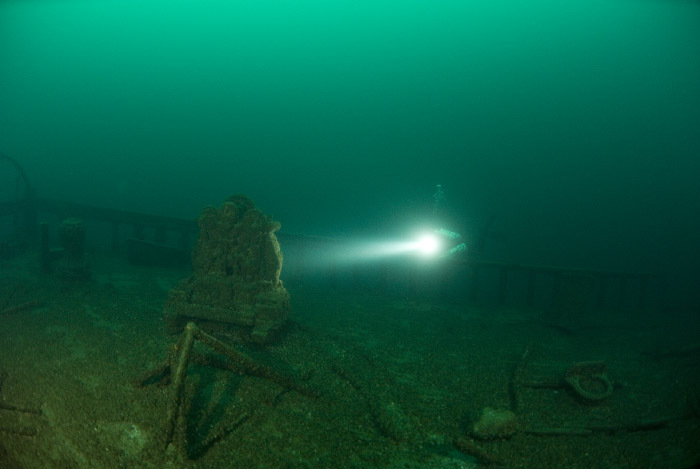 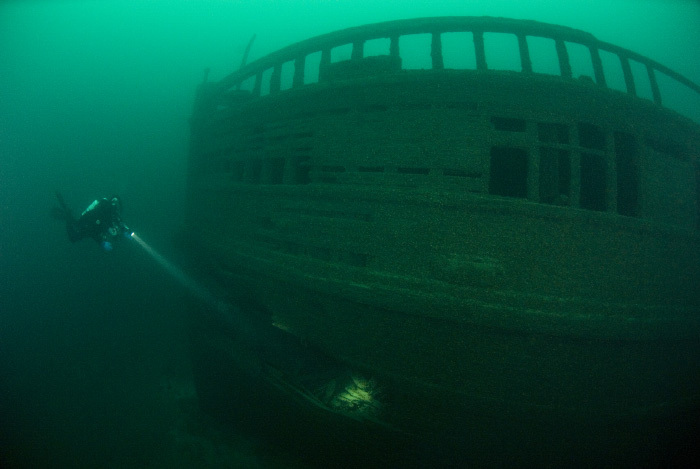 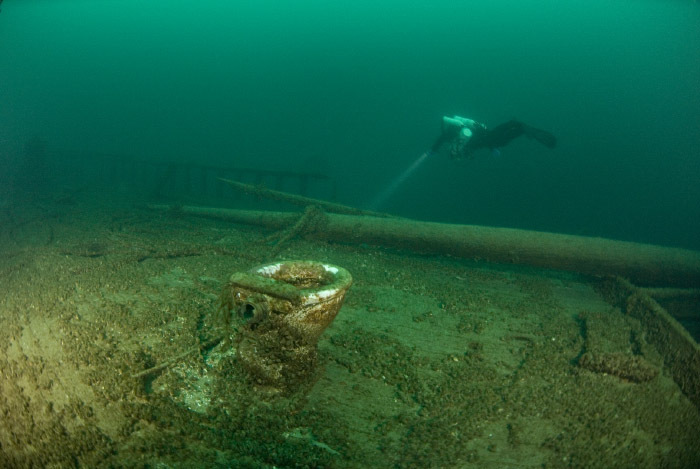 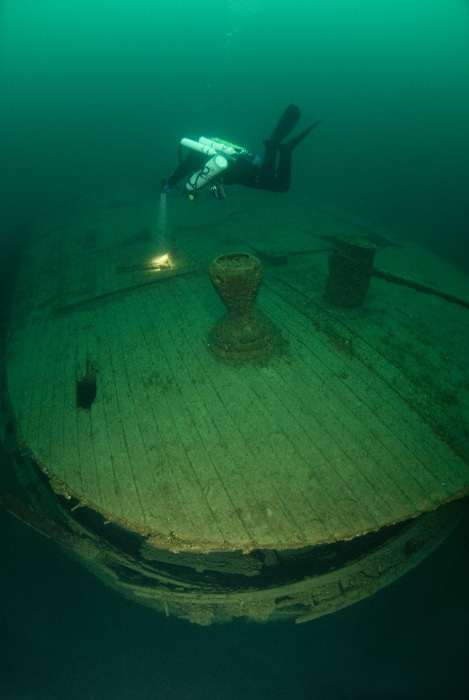 For more complete story of my 2003 dives on it, read my Northwind  Toby  Mackinac trip report. 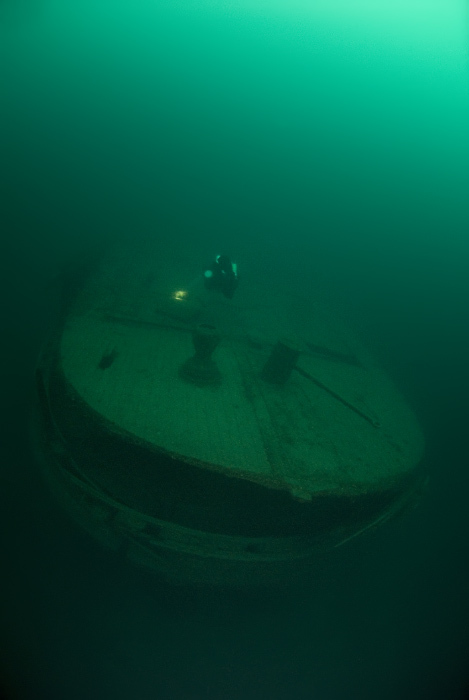 I came back in 2008 to do couple more long dives and removed all my 2003 shots as 2008 were definitely better. 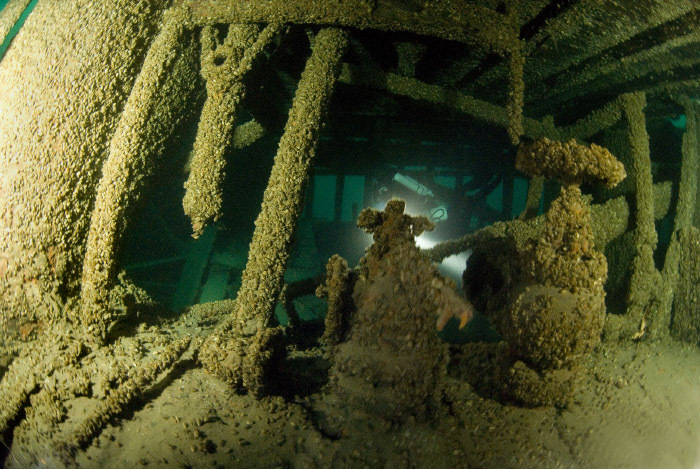 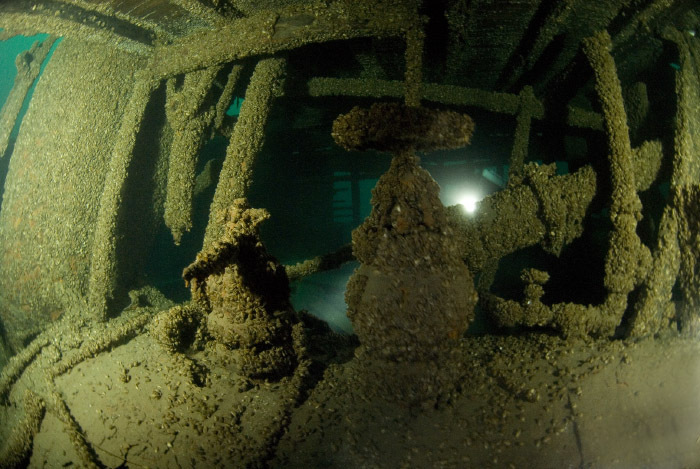 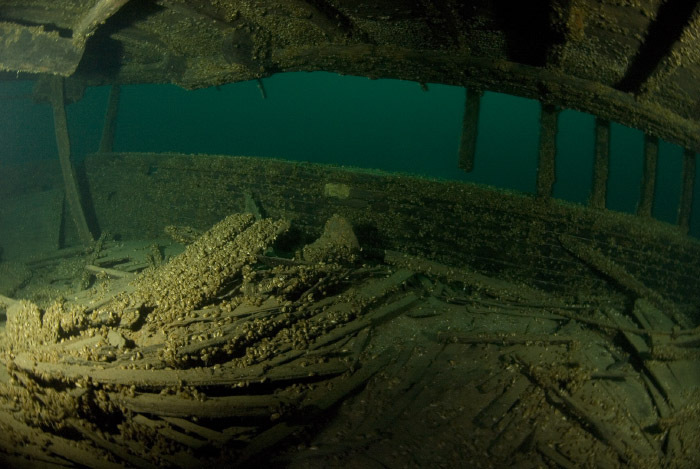 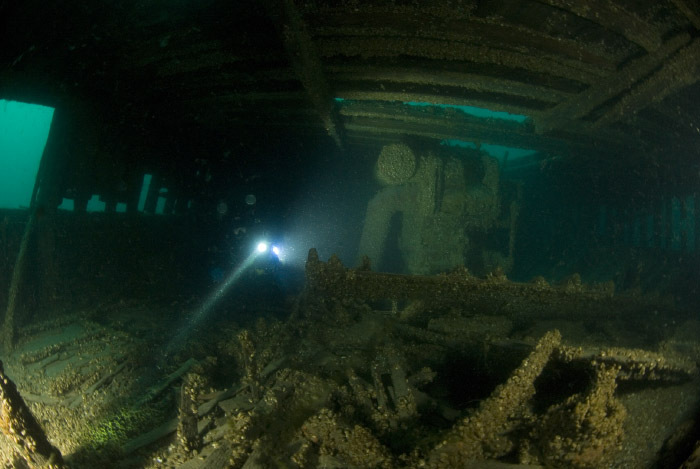 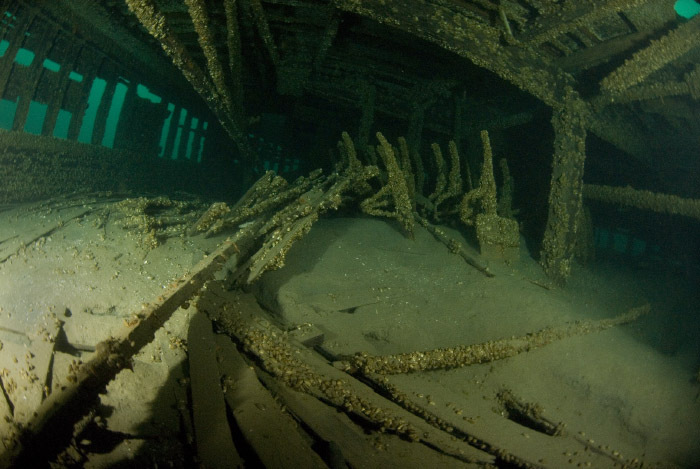 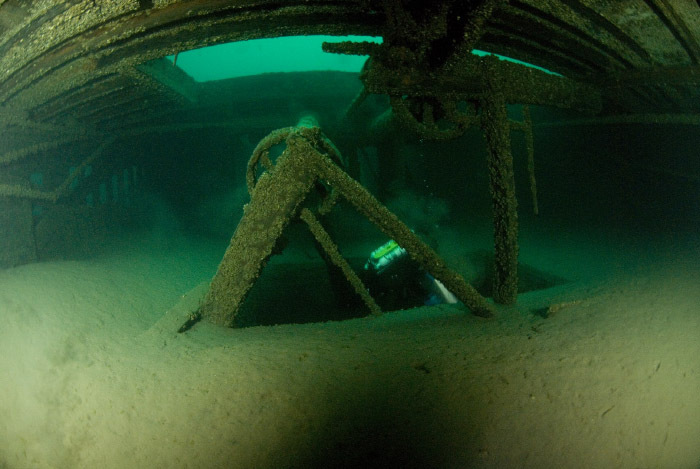 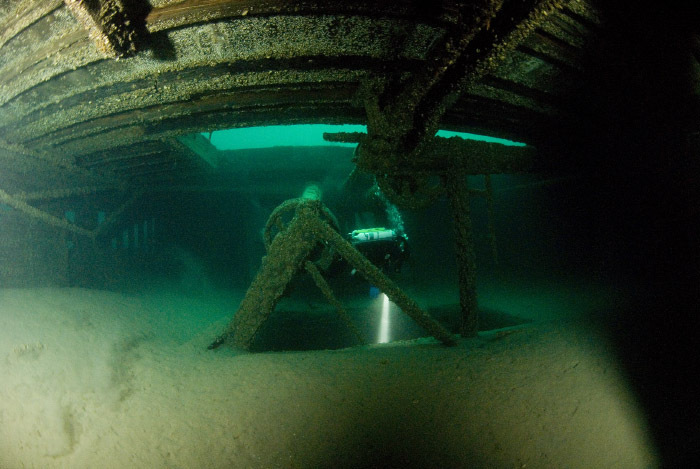 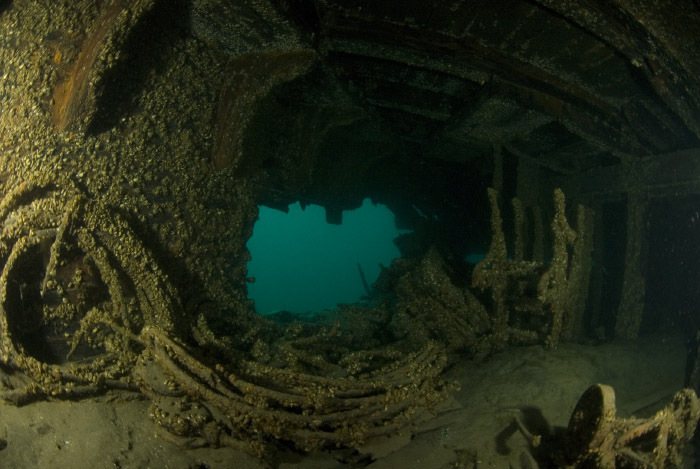 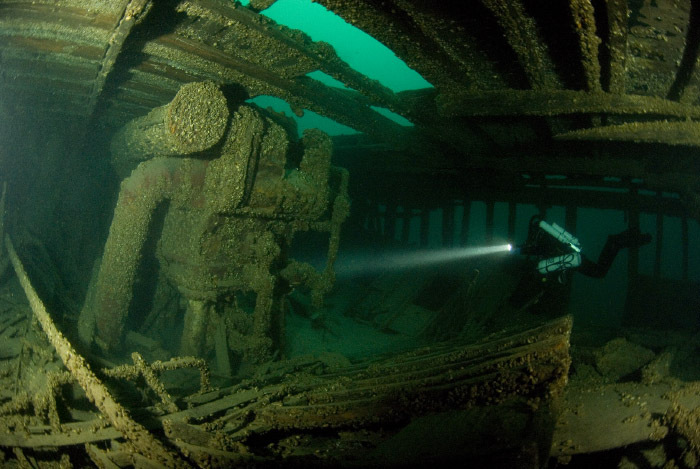 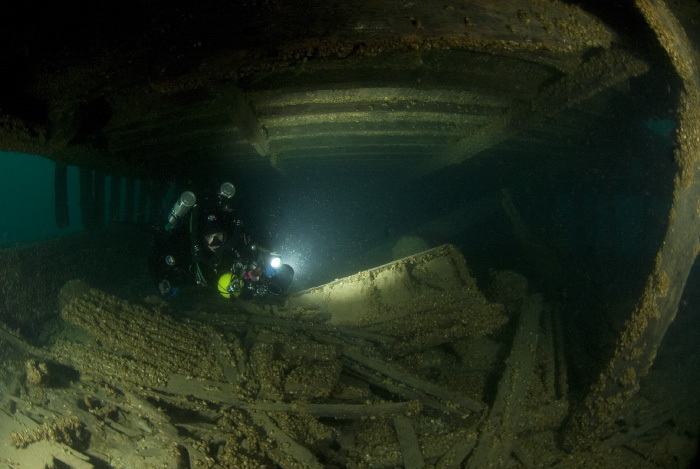 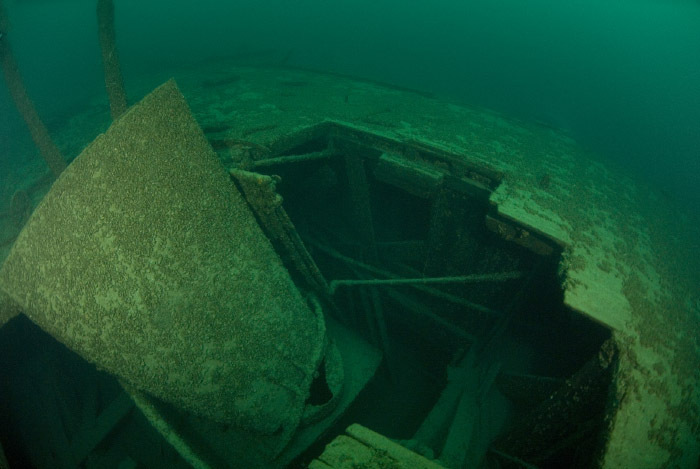 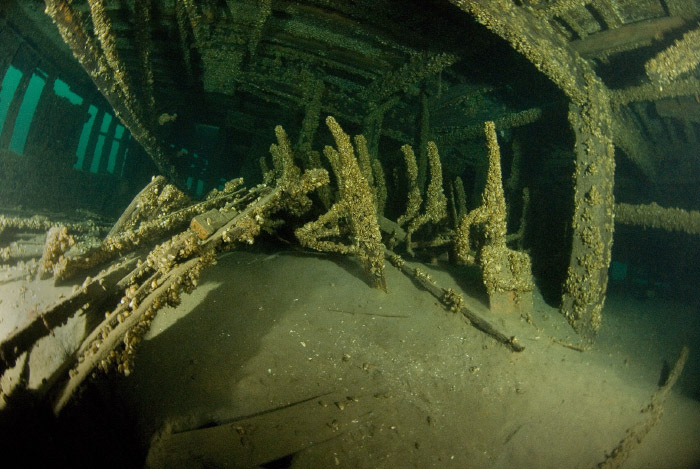 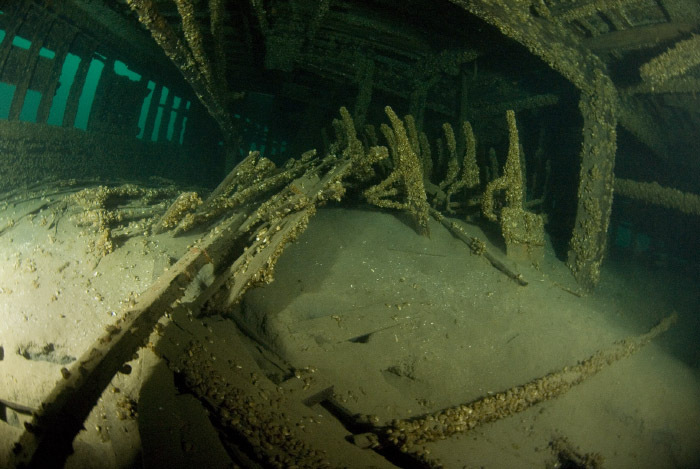 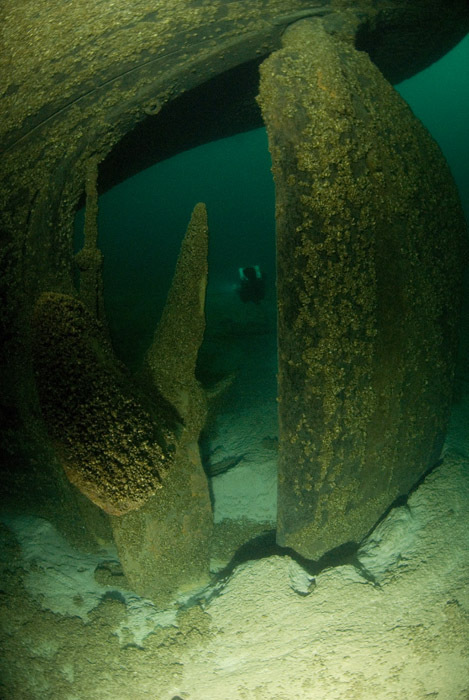 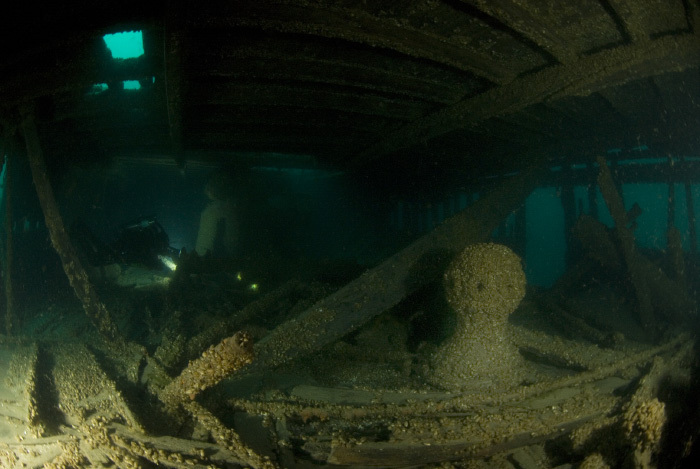 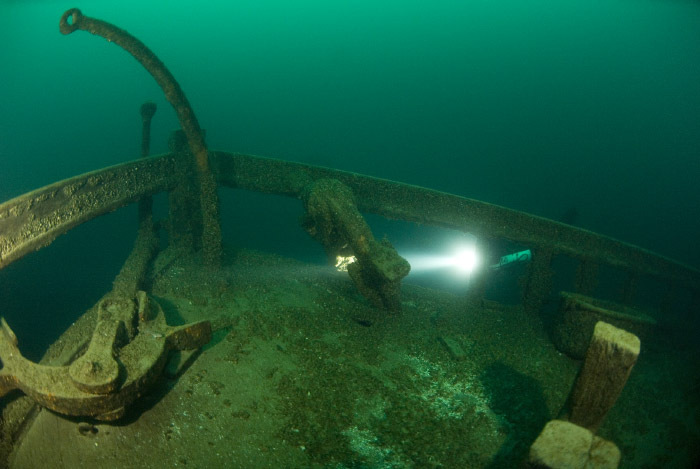 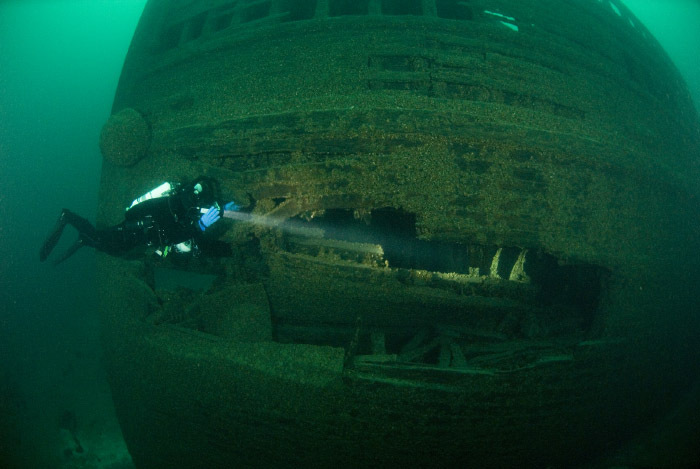 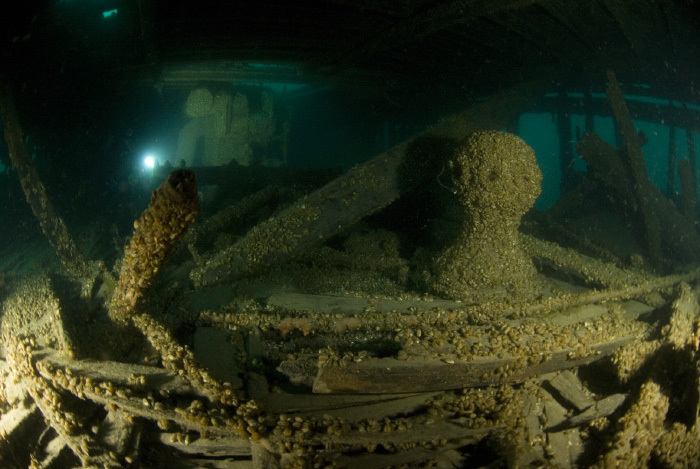 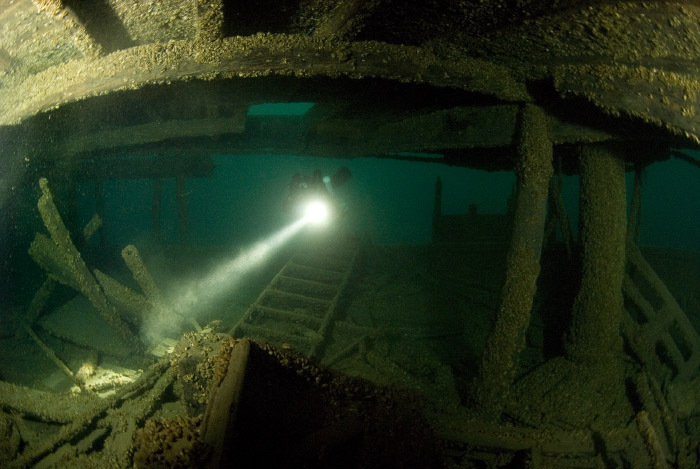 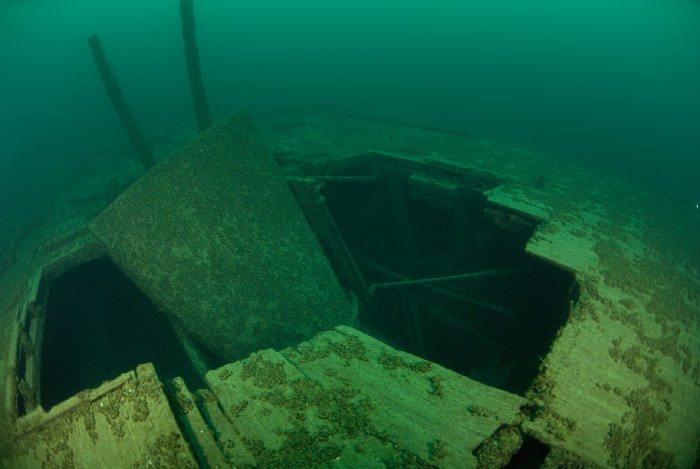 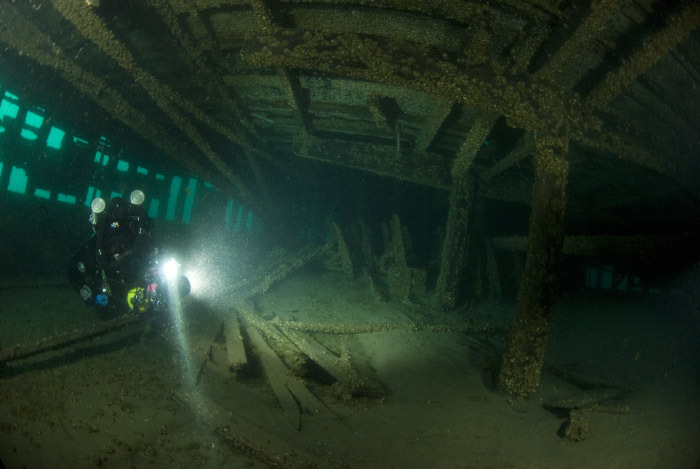 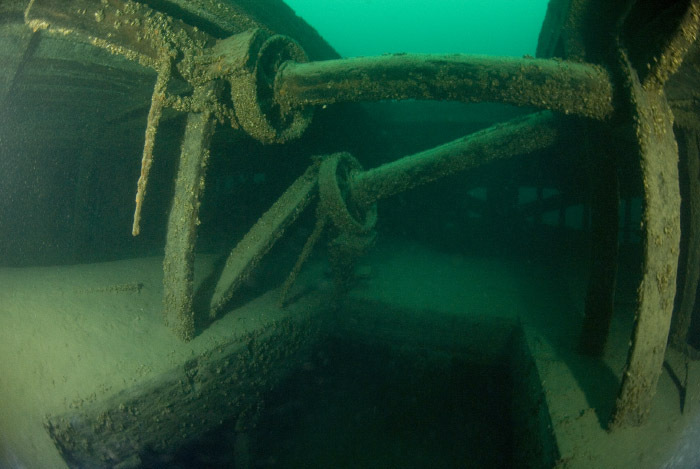 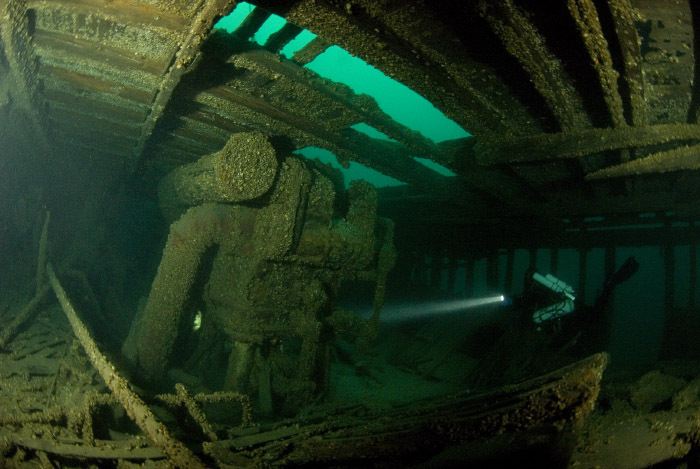 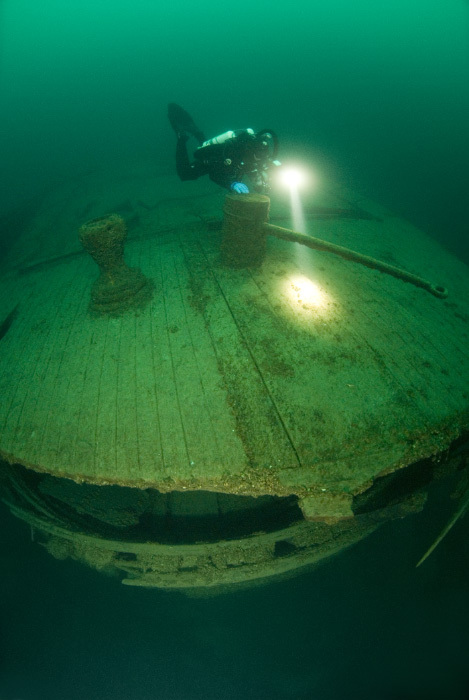 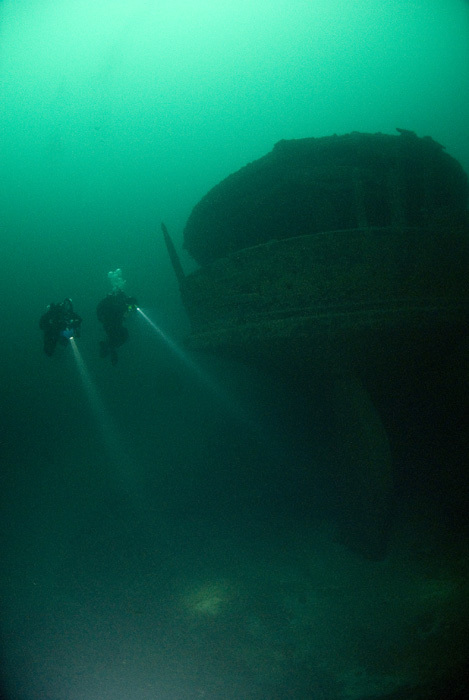 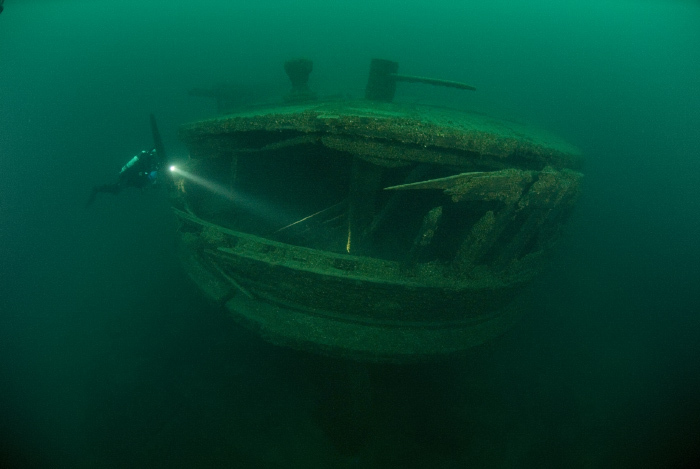 The highlights of the dive are numerous and include the unique mushroom anchor, hanging off the port side of the bow; several normal style anchors hanging from both sides and laying on the top deck; completely intact engine works with giant boiler spanning two decks; completely intact propeller; very unusual mechanical unloading equipment (on the sides of cargo hatches); and hand carts stored on each of her two inside decks. 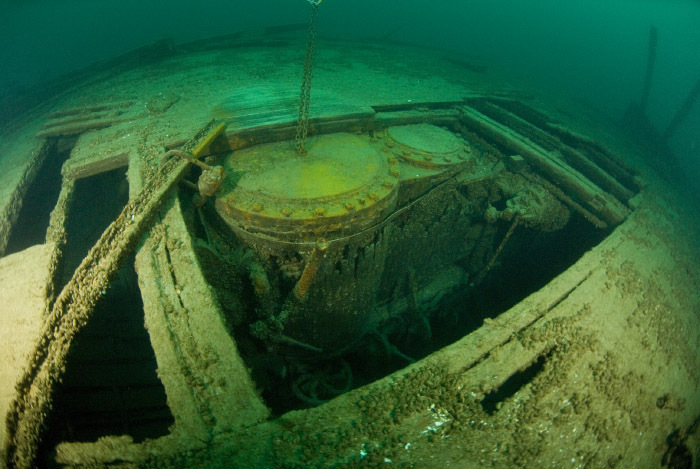 The top deck spots a toilet and bathtub. 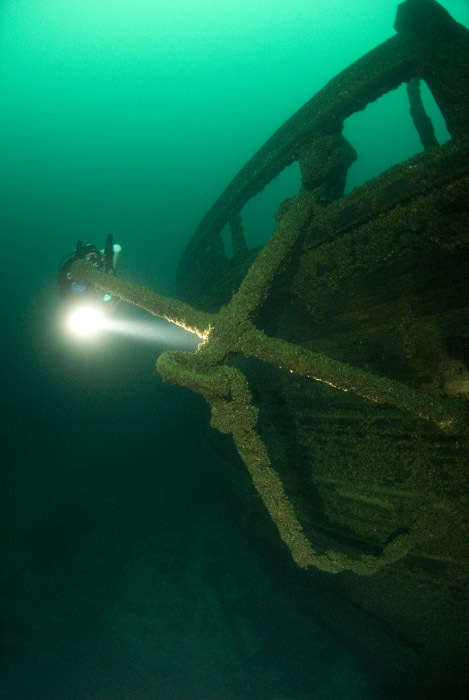 Visibility ranged from 20 to 60+ ft in my 4 dives on her in 5 years. 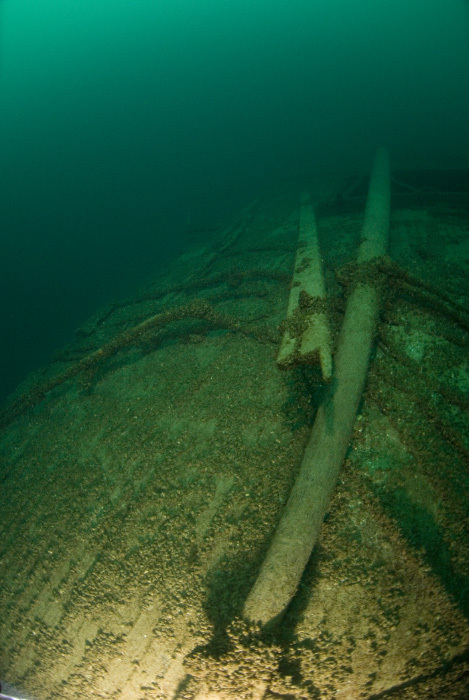 Bow features anchors still on place, the capstan and the mushroom anchor on the port side near ice hole. 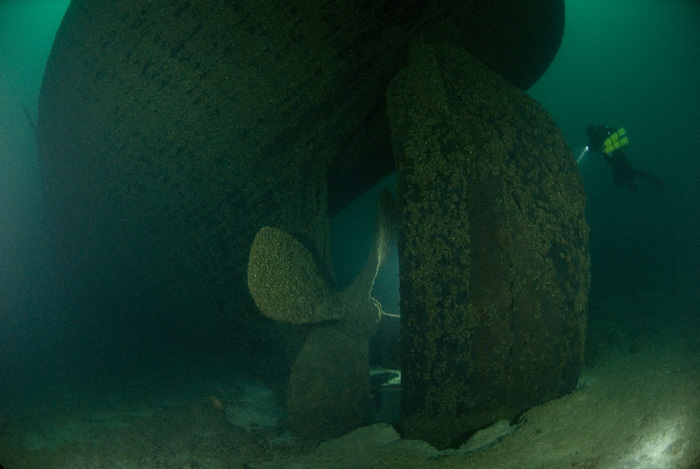 Stern still has rudder and propeller and numerous openings into the multi-level deck.